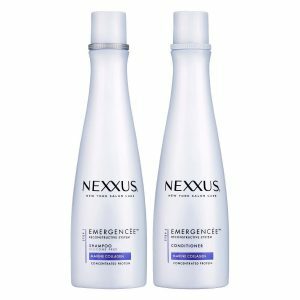 Nexxus Products & Company Review: Nexxt Level Hair Care! 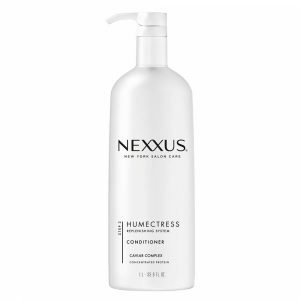 Home | Hair Care | Nexxus Products & Company Review 2019: Nexxt Level Hair Care! 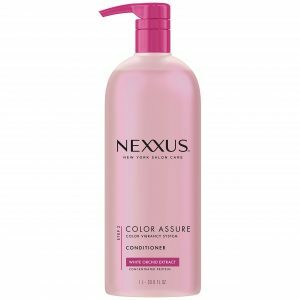 Nexxus Products & Company Review 2019: Nexxt Level Hair Care! Like many quality hair care brands, Nexxus started out as a professional grade, salon brand and eventually moved into the retail sphere. 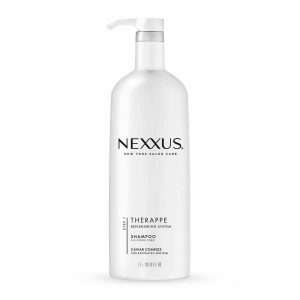 Nexxus offers a wide range of hair products including shampoos and conditioners for various hair types, intensely acting serums and masks, multitasking styling products and incredible hair treatments. 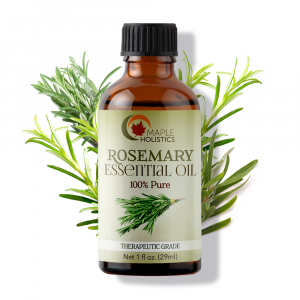 They use powerful botanical ingredients that get to the source of whatever difficulty you’re having with your hair, helping it heal and look fantastic. The Emergencee Treatment made my hair feel softer and smoother the first time I used it. Now a few months later, I barely recognize my own hair! I was always obsessed with looking through my hair for split ends and cutting them off, and now I can’t find a single one. People have been asking me what I’ve been doing differently to my hair and I refer all of them to this little tube of wonder. It utilizes proteins including collagen and elastin to reinforce the hair’s natural resilience, protect from breakage and help damaged hair heal itself. Aloe Rid is a product that many people have been using to help them pass drug tests (to mixed results,) which is how sellers have been able to hike up the price to $140. I remember this being an amazing clarifying shampoo back in the day that was incredible for stripping away product buildup without drying out hair, but it has unfortunately been discontinued. A lot of conditioners use silicones to mimic the feeling of well hydrated hair, giving slip and detangling. But silicone creates a barrier around your hair to lock in moisture and that’s problematic because it also locks OUT moisture. This conditioner is silicone free and works to hydrate the hair for real, instead of just giving the temporary appearance of doing so. It’s enriched with proteins to help strengthen strands and moisturizes with lipids and emollients to condition hair from the inside out. Hydrating shampoos are generally only recommended for those with dry hair, but I am a big believer in the idea that most shampoos are too harsh and that every shampoo should include hydrating, nutritious ingredients. 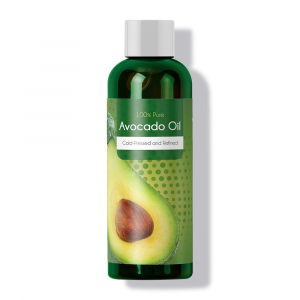 This formula utilizes gently cleansing organic ingredients, and is fortified with gru gru extract (I’m not entirely sure what this is but they say it makes hair shiny and healthy! ), shea butter for intense moisture, certified organic quinoa protein for stronger, more resilient hair, and alfalfa, which is one of the most nutrient and vitamin rich plants in the world. 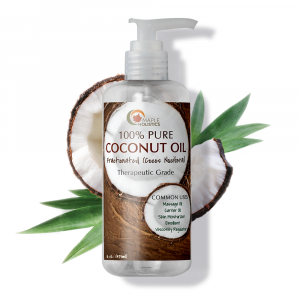 It lathers up nicely, cleaning hair really thoroughly but maintaining its natural oil levels and moisture. Color treated hair needs some extra lovin’, and this shampoo gives it that. It’s sulfate-free which is an absolute must for dyed hair because the strong soap will “clean” off the color along with any impurities. It also offers UV protection to further prevent color from fading or changing in tone. The shampoo treats the dryness and weakening that bleaching and dying hair can cause with coconut oil, vitamin B5, antioxidants, argan oil and sweet almond oil. Yes, yes and yes. Here’s the sad secret to split ends: You can treat your hair to prevent them, but once a hair splits, there’s no way to truly mend it (yet!). They say that you’re supposed to cut them off and move on, but c’mon. I know that for me, my dry curly hair seems to get split ends way too quickly to keep cutting if I don’t want to end up with a little afro (I just don’t have the bone structure to pull one off sadly). So if you’re trying to grow out your hair and need something to keep your hair from looking wack between salon visits, a styling product that temporarily binds the hair together is a welcome alternative to chopping off those long locks. I love this one because it makes hair look so fresh and healthy, and HUGE bonus: because ends are bound together and protected, further splitting is prevented. It’s also a leave in conditioner so you get some serious multi-tasking hydration, which I really appreciate! The formula for the Therrape Ultimate Moisture Shampoo itself is incredible! With luxurious and softening ingredients like avocado oil, keratin, vitamin-E, wheat flour lipids, chamomile extract and rosemary oil extract, how could it not be? They’ve come up with a slow-release moisturizing formula which sounds like witchcraft and probably is, so your hair is being nourished all day long. The Diametress Volume shampoo has really amazing volumizing properties. My hair seemed to have more bounce to it and my ponytail felt so thick after using this for a few days. It works on more than one front to both make hair look fuller and actually grow in thicker. Pantheons, a pro vitamin of B5, is the star ingredient, helping hair come in thicker and stronger. Ceramides, which is a natural building block of the hair, helps fortify the hair and reduce breakage. It also offers UV block and antioxidants to protect hair from the elements and from free radicals which can contribute to hair thinning. 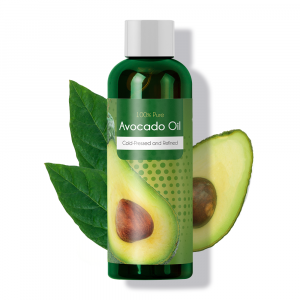 Moisturizing avocado oil and vitamin-E close the show, hydrating the hair so it looks its best. Oil infinite hair oil for frizzy hair. 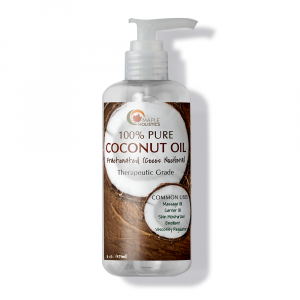 There is no denying that this product features some amazing, powerful oils such as coconut oil and sweet almond oil. 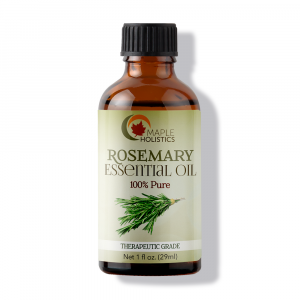 The oil blend helps hair feel smooth and look healthy, without weighing it down or making hair look excessively oily. But… I’m fed up with anti-frizz product using silicones to mask the issue while actually contributing to it. Many people with naturally dry, frizzy hair choose to completely avoid silicones because while they make hair feel hydrated right after applying, they buildup easily if you don’t use harsh clarifying shampoos (not recommended for this hair type) and end up causing hair to be less healthy as a result. 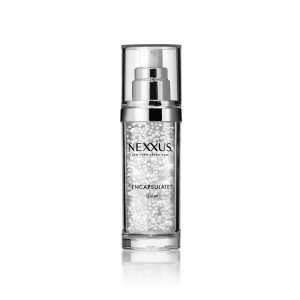 Humectress encapsulate serum for dry hair. This serum is seriously luxe. The first thing that stood out to me was that apparently you can restore two weeks of protein loss in the hair with just one application. It can do wonders for damaged hair, helping it feel soft and look glossy without leaving hair greasy. The product can be applied to damp or dry hair and works for any and all hair types so it’s definitely a great “one size fits all.” A+++. Is Nexxus Cruelty Free? Does Nexxus Test on Animals? 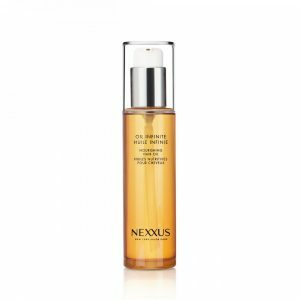 Nexxus products are never tested on animals, so in that sense they are cruelty free. However, Nexxus is owned by Unilever which is not very animal friendly. There are two valid stances to take on the matter that I can think of: 1) Boycott Unilever and all of their subsidiaries or 2) Support the Unilever companies that don’t test on animals to show Unilever that good animal testing practices are economically beneficial, hopefully motivating them to make moves in that direction. I personally lean towards the second option because I’m almost sure that a giant company like Unilever would try out a cruelty-free approach with a few of their companies before altering their practices across the board, and I think my dollar vote is most effective in carrot, rather than stick, form. Keep on reading! Check out our Rogaine For Men, Dove Men’s and Urban Decay features while you’re here at Maple Holistics! 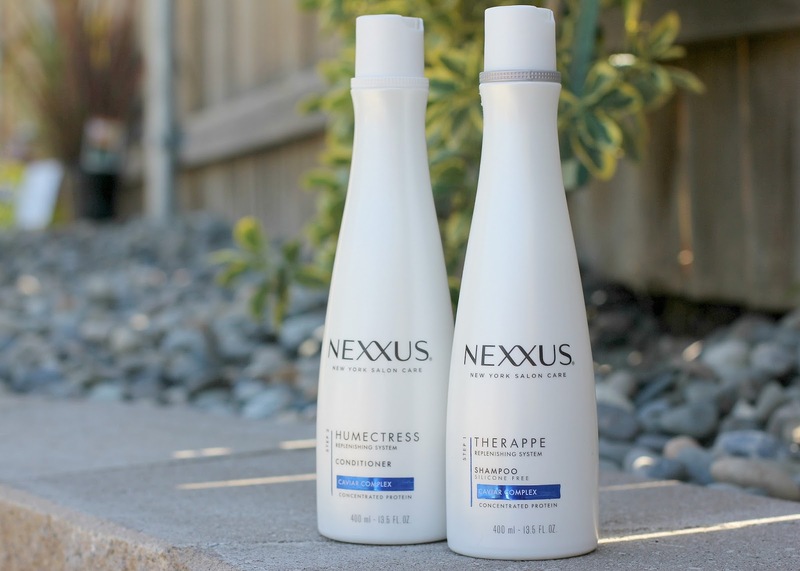 The main reason I am such a big fan of Nexxus comes down to their product philosophy, which is that great hair is achieved by working from the inside out with ultra healing ingredients. Their formulas are the perfect balance between medicine for your hair and modern styling. It totally raises the bar for what a hair product should be able to offer you. I strongly encourage you to try out some of the products I’ve mentioned, especially if you have damaged hair in need of some TLC.